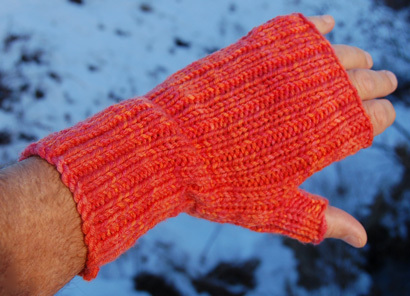 Quick fun and easy to knit, these super warm fingerless mittens come in two ribbed designs; a simple but elegant ribbed design, and a twisted rib version. Tapestry Needle or crochet hook for weaving in the ends. Gauge: 20 stitches per 4 inch (10 cm) in ribbed stitch.